In honor of Halloween, today’s Friday Fiction is about spooky sounds that science can’t explain. If you are looking for a real-life mystery to incorporate into your novel, one of these might just do the trick. And besides, don’t they have fabulous names? This guy should make a mystery sound, but he doesn’t. 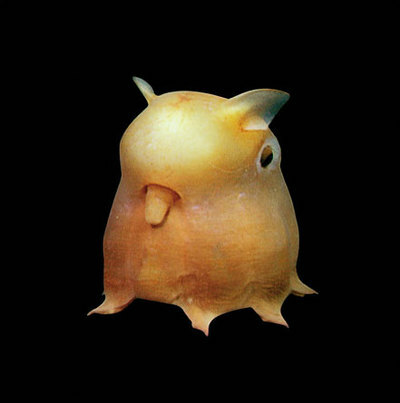 He’s just an octopus. Julia is one of six unexplained sounds that NOAA has picked up on hydrophone (underwater microphone) arrays. While NOAA has possible explanations for all of these, the exact source of the sounds were never discovered. Julia was recorded in 1999. The original sound lasted for 15 seconds and could be heard over the entire Equatorial Pacific Ocean autonomous hydrophone array. It is surmised that Julia is the sound of an iceberg grounding on the sea floor, but that’s not certain, so “she” remains a mystery. 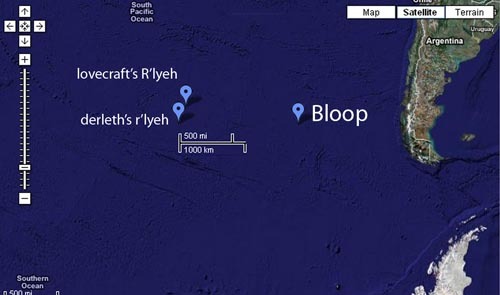 Bloop, one of the more popular unexplained sounds, was recorded by NOAA in the summer of 1997 and was traced to a remote region of the south Pacific. While it sounds animal-like in the recording, it should be noted that the playback is at 16x the original speed and was many times louder than the loudest recorded animal sound, that of the blue whale. NOAA says that Bloop’s spectrogram is consistent with ice quakes generated by large icebergs as they crack and fracture. Fictions writers should note that Bloop has been used or referenced in fiction many times already. Slow Down sounds like a jet landing or a race car decelerating, doesn’t it? It was recorded by NOAA in May of 1997 in the eastern equatorial Pacific Ocean. Train was also recorded by NOAA in 1997. Both sounds have been attributed to the grounding of large icebergs. This one is still out there! Upsweep sounds to me like the whooping of an animal (a giant guinea pig maybe?) And, like an animal, it is seasonal, reaching its peak in the spring and fall. In fact, it was first thought to be the sound of fin whales, but that theory was rejected for two reasons: First, the sound was too uniform and second because it was too loud. Upsweep can be heard throughout the entire Pacific – that’s much louder than any whale. Upsweep came out of nowhere in 1991 and has been declining ever since. However, it can still be picked up by NOAA’s hydrophones. Whistle was recorded in 1997 and is similar to sounds made by erupting underwater volcanoes. To identify the source of a sound, it must be picked up by three recording instruments. Whistle was only recorded on one hydrophone, so its source cannot be pinpointed. 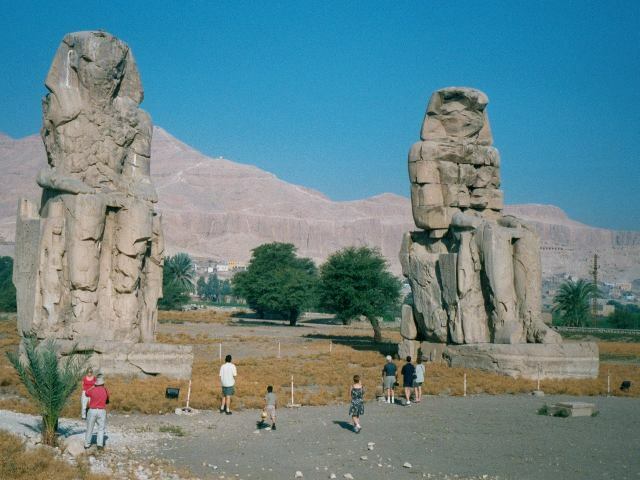 The Colossi of Memnon are a pair of stone statues of Pharaoh Amenhotep III located across the River Nile from the modern city of Luxor. Built to stand guard at the entrance to Amenhotep’s memorial temple, the statues have stood for 3400 years. The singing, described as “a blow” or equated to “the string of a lyre” breaking, has been attributed to various causes, both man-made and natural. In fiction, the “Vocal Memnon” sings to the main character in Henrik Ibsen’s Peer Gynt. MEMNON’S STATUE (sings). From the demigod’s ashes there soar, youth-renewing, birds ever singing. Zeus the Omniscient shaped them contending Owls of wisdom, my birds, where do they slumber? Thou must die if thou rede not the song’s enigma! The wonderful thing about Mistpouffers is that their local names are as colorful as their group name: Barisal Guns (Banglidesh), Brotidi or Marinas (Italy), Uminari (Japan), Mistpoeffers (Netherlands & Belgium), and Retumbos (Phillipines). In the US they are known as “Guns of Seneca” in the Lake region of New York, “Seneca Guns” in the southeast, and “Moodus Noises” in Connecticut. As far as sonic booms are concerned, there are many unexplained Booms on record in the Unites States. The Hum is a tricky one. It is localized and usually transient. Some Hums last for days in a particular location, others endure for months or even years. Sometimes it’s constant. Sometimes it comes and goes. Some people hear it and some do not. Sometimes it is more prominent indoors, other times it can only be heard outside. Some Hums can be recorded. Others cannot. 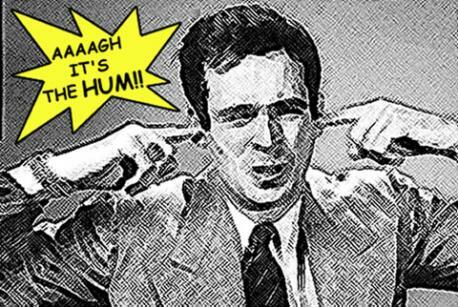 Those who hear The Hum complain of a constant low frequency “engine” or “rumble” background noise that, in some cases, even earplugs don’t block out. They sometimes “feel” the sound as a vibration running through their bodies, a phenomenon that is consistent with the presence of infrasound. There are famous Hums. These are usually named after their locations: The Taos Hum, The Bristol Hum, The Auckland Hum. A few Hums have been solved. An Indiana Hum was traced to a pair of large fans in the cooling tower of one manufacturing plant and an air compressor at another. There are people (not scientists) who believe that there is only a single worldwide Hum and that “Hum sufferers” (people who claim to be made ill by The Hum) are picking up some “gravitational” or other “wave” that most people can’t detect. These Hum theorists believe there is a link between The Hum and the modern electrical grid, cellular networks, or perhaps a “secret government project.” Or Aliens. Scientists believe there are almost as many causes of Hums as there are incidences of the phenomenon. These include man-made sources such as industrial fans and distant air, land or sea traffic; natural sounds that might emanate from wind through buildings or the ocean; and physical or psychological problems of the sufferers such as audio hallucinations or tinnitus. In fiction, the Taos Hum was the topic of a 1998 episode of The X-Files .